With tinsel, gifts, Christmas lights and snow loads of university work, it might be easy to put personal safety on the back burner. However, whether you’re heading home or staying in Cardiff over the holidays, it’s still important to take precautions to ensure your own and others’ safety. 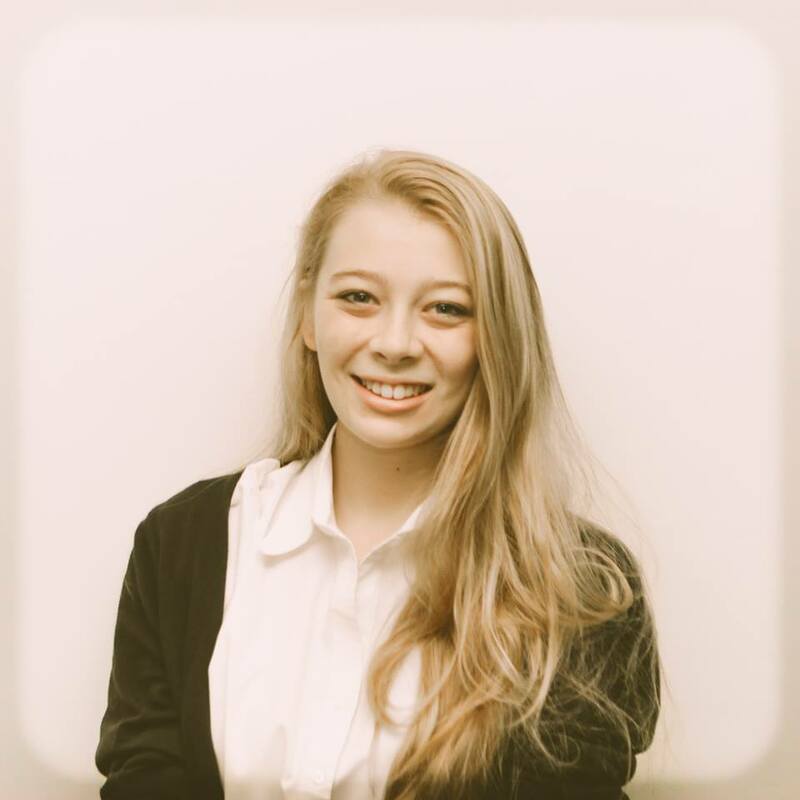 Cardiff University prides itself on building a safe, accepting environment for all its students. However, it’s important to know what you can do to keep yourself safe during your studies, especially if you’re staying in Cardiff over the holidays. Always be aware of danger, especially when out at night. Keep your valuables tucked away in a zipped pocket or bag – the more secure the better. Look out for your friends, travel in pairs and stick to well-lit areas. Pick up a free personal alarm from Cardiff University Security located near the Student’s Union on Park Place and carry this around in case of an emergency. Alternatively, you can download the Panic Guard app for free available on both iPhone and Android. When on a night out it can be easy to make decisions you may later regret. This is because alcohol lowers our inhibitions which leads to impaired judgement. This can result in risk taking. Always take care of yourself and your friends and drink responsibly. Read our blog on staying drink aware this festive season. Never let a friend who is drunk go off on their own. You would want someone to do the same for you. Always sit in the back seat of a taxi, behind the driver (especially if you’re alone), and have the money ready upfront. If you run out of cash on a night out, do not walk home alone. 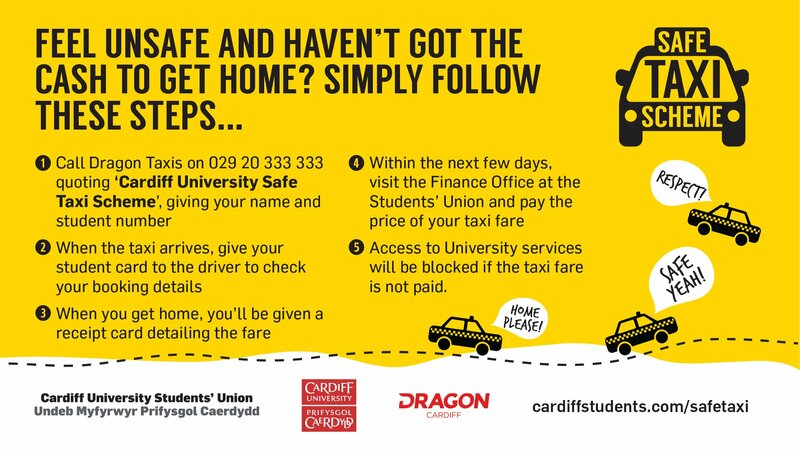 Simply order a taxi using your student number with Dragon Taxi either by phone: 029 2033 3333 quoting the ‘Cardiff University Safe Taxi Scheme.’ The fare will then be charged to your student number and you can pay the Student’s Union the next day! At home: Always remember to lock doors and windows when leaving your student residence. If you’re likely to forget, tape a reminder to the front door to help you and your flatmates out. If your home is going to be unoccupied for a long period of time, take all your valuables with you and consider purchasing a plug in timer for a few lights about the home to give the impression someone is in. Off on a night out with the whole house? ‘All your housemates out tonight?’ can be a dangerous question. Don’t let strangers or taxi drivers know that your house is completely unoccupied. Top Tip: Register your valuables with immobilise for free and remember to report it if it does go missing. This information will then be made available nationally to all major UK Police forces, making it more likely that your beloved item will be returned back to you. Hopefully you will always be safe and enjoy every minute of your time here at Cardiff University, but never be afraid to get advice or help from Student Support and Wellbeing if you feel in any danger. All are welcome at the Cardiff Chaplaincy for Christmas Lunch, which will be held on Monday 25 December at 13:00. Please email frsebastian@cardifforatory.co.uk if you would like to attend.